SEPANG, Malaysia — Pierre Gasly and Charles Leclerc are ambitious young drivers hoping to impress enough to get a permanent Formula One seat next year. 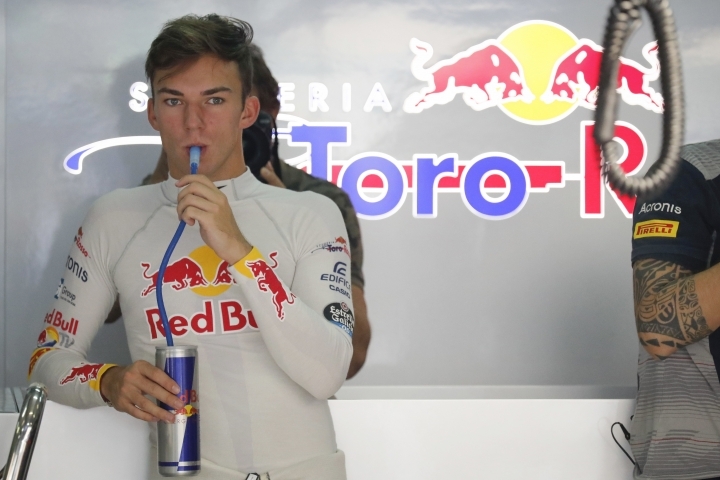 The 21-year-old Gasly is driving for Toro Rosso at this weekend's Malaysian Grand Prix as a replacement for the underwhelming Daniil Kvyat, who was dropped for several races. 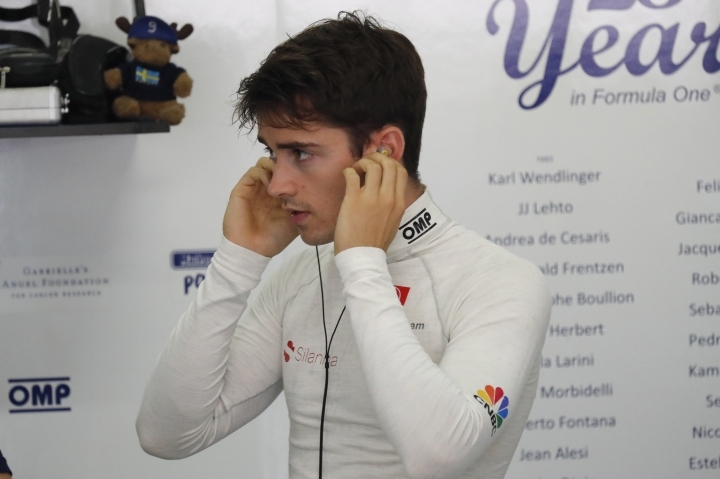 Although 19-year-old Leclerc took part only in Friday's first practice session in Malaysia, he will do the same in three more races this season. This gives him the chance to further showcase a talent that has impressed four-time world champion Sebastian Vettel. "It's a huge honor that he speaks of me like that," said Leclerc, who was 16th in rainy conditions for practice. "I need to be the best prepared for next year if I get the opportunity to be in Formula One. I don't really feel pressure; I just need to give the best of myself." A product of Ferrari's junior program, Leclerc is running away with the F2 championship and can seal it with a race to spare next weekend. 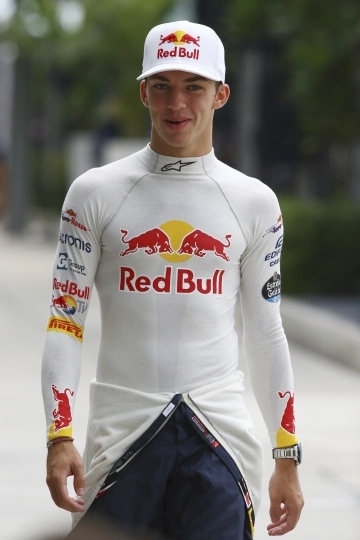 That championship was won last year by Gasly, who came through Red Bull's junior program. Stepping up to F1 does not intimidate him. "People might think that I am cracking a bit under that pressure. Quite the contrary," the self-assured Gasly said. "I have been working very hard in the past few years to make it to F1. Why should I crack now?" For the next few races he will be driving alongside Spaniard Carlos Sainz Jr.
"Carlos is on top of his game," said Gasly, who is from the Normandy port city of Rouen. "He's a really good benchmark." Gasly was runner-up to Sainz Jr. in the 2014 Formula Renault 3.5 series, and Red Bull took him as a reserve driver the following year. "He deserves his chance in Formula One," Sainz Jr. said. "I know how fast he is and what a big talent he is." Vettel thinks the same of Leclerc. Only two weeks ago at the Singapore GP, Vettel praised Leclerc after he did extensive Ferrari simulator work late into the night to iron out flaws evident in practice. Vettel took pole position the next day. With 46 wins to his name — and the youngest driver to win an F1 race prior to Max Verstappen — Vettel is well placed to judge talent. "He's had a fantastic season so far in (F2) ... the speed has been quite incredible," Vettel said. "I'm sure he'll do well. I don't think he needs advice." In Sunday's race, Gasly will get the chance to rekindle an old rivalry with childhood friend Esteban Ocon, who has impressed in his first full season in F1 by securing a Top-10 finish in every race but one for Force India. "I started with Esteban in karting. 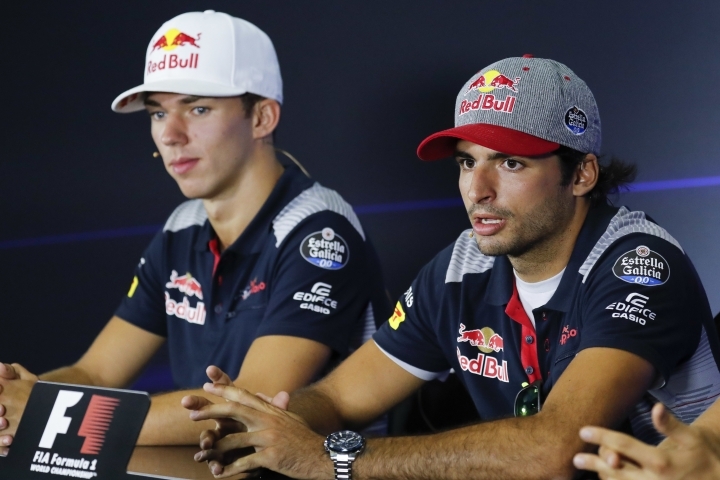 I know how to beat him," Gasly said. "It's a pretty long story with Esteban and we got to know each other since we were six years old. We were living more or less in the same place." Gasly has been driving a Honda-powered car in the Super Formula Championship this year. His move into F1 comes on the back of recent news Honda will supply engines to Toro Rosso next year, after the Japanese manufacturer splits with McLaren. 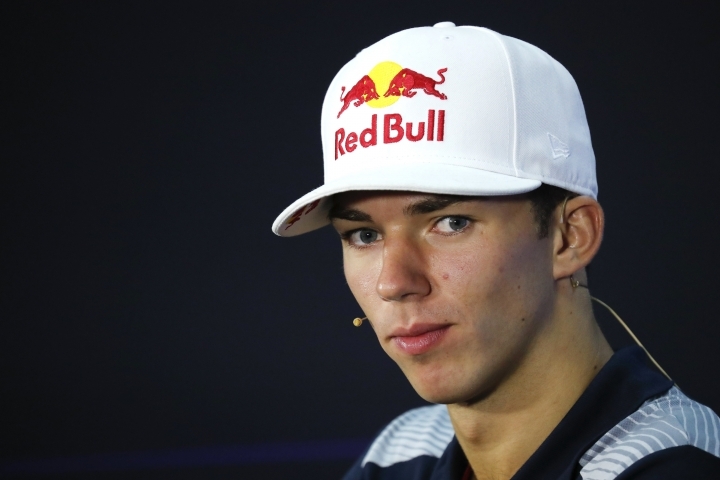 Gasly, who found out he was getting an F1 drive from a text message, feels sympathy for Kvyat. The Russian driver, who finished second at the Hungarian GP in 2015, has not placed higher than ninth since Red Bull dumped him down to feeder team Toro Rosso five races into 2016, so they could promote Verstappen. "Unfortunately that's how it works in this sport ... I had to take the seat off someone else," Gasly said. "Of course I feel sorry for him."